This week it was all about numbers. As quarterly results rolled around it was time for Apple, Garmin and Fitbit to tell us just how good or bad 2018 is going so far. In the case of Apple and Garmin, it's a thumbs up while for Fitbit, well, there's room for improvement. But its fortunes could change dramatically thanks to a pretty huge collaboration. It was also a week where some wearable tech names we thought we'd waved goodbye to appear to be rising from the dead. As collaborations go, this is as big as it gets. This week, Fitbit announced that it's partnering up with Google to help its big push into serious health tracking. Fitbit intends to make use Google's Cloud Healthcare API to help integrate Fitbit data into medical records. Combining that with metrics captures through its smartwatches and fitness trackers, the aim is to provide a more comprehensive view of the patient's profile. We know that Fitbit has been investing in health startups and even acquired its first startup when it splashed out on Twine Health earlier this year. It's also the kind of partnership that will no doubt give the company a boost after it saw a dip in fitness tracker sales in the first quarter of 2018. While initial sales of its Versa smartwatch appear to be showing promise, it looks like its trackers will play a greater role in the medical and health realms. It looks like we are finally reaching a resolution with Nokia's Digital Health business. After conducting a strategic review back in February, rumours began to fly that Alphabet's Nest and even Samsung was interested in snapping up the division. Clearly it was up for grabs and it looks like Nokia has found a suitable buyer. That buyer is the co-founder of Withings. After Nokia acquired Withings for €170 million in 2016, it's now going back to one of the people who handed it over. The deal is expected to be completed over the coming months. 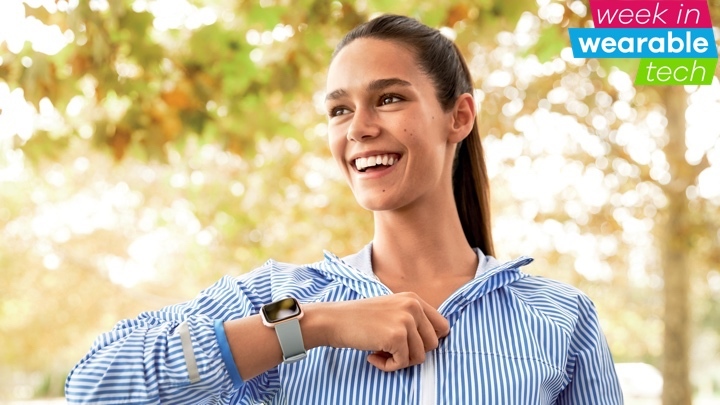 What that means for Nokia's current wearables like the Steel HR or its smart scales is unsure. But it does paint a more optimistic future for the connected health tech and software that was largely brought to life by Withings. We've always had a soft spot for the French company that is no more, but maybe we'll be seeing that name on wearables once again in the not too distant future. Return of the Microsoft Band? Now this would be a turn up the books. Just when we thought Microsoft was done with its fitness tracker/smartwatch hybrid, a couple of patents turn up out of nowhere suggesting that there may well be life in the Band yet. The two patents point to a more health tracking-focused wearable with stress monitoring and blood pressure estimation features revealed alongside images, which look very familiar. Maybe it'll come to nothing or maybe actually Microsoft is looking at Apple, Fitbit, Samsung and even Garmin who are entering this health space and feels like it might have opportunity to offer something truly groundbreaking. After all, the Microsoft Band might not have been perfect, but there were some good ideas in there.